Electric bike kits are a solution that allow you to add a motor, battery and electric controls to a non electric bike to make it into an e-bike. Chosen with care and installed correctly, the resulting e-bike lets you ride with electric assist just like a ‘regular’ e-bike. With the evergrowing range of readymade e-bike designs larger than ever, kits have some competition from off-the-peg, ready to pedal e-bikes. Elby is one of the latest new e-bike companies to make a splash in the e-bike world but they have an interesting background with BionX and the automotive industry. This new Elby electric bike is a stylish step thru that has a well thought out design and accessory selection. One of the recent developments in the electric bike and traditional bicycle world has been the cargo or utility bike. Cargo bikes are designed to carry loads that are larger and heavier than a traditional bicycle can carry like passengers, many bags of groceries, boxes, etc. Electric cargo bikes offer an additional electric assist to the rider which allows them to carry a heavier load for a longer distance. The electric cargo bike in many cases is a great alternative to driving a car for running errands and commuting to work. Journalists swarm to ride e-bikes at the Charged Up electric bike media event! Yes, electric bikes are still relatively unknown to a majority of people in the US. But hopefully that will change soon! As a way to get the word out about e-bikes, Interbike (organizers of the largest bicycle trade show in the US) partnered with Outdoor Retailer to present e-bikes and other outdoor gear to a group of journalists from large mainstream media companies. In this installment of custom electric bikes from the North American Handmade Bicycle Show there is a retro e-cruiser with a classic gear shifter, a titanium e-mountain bike, and an electrified Santana tandem! 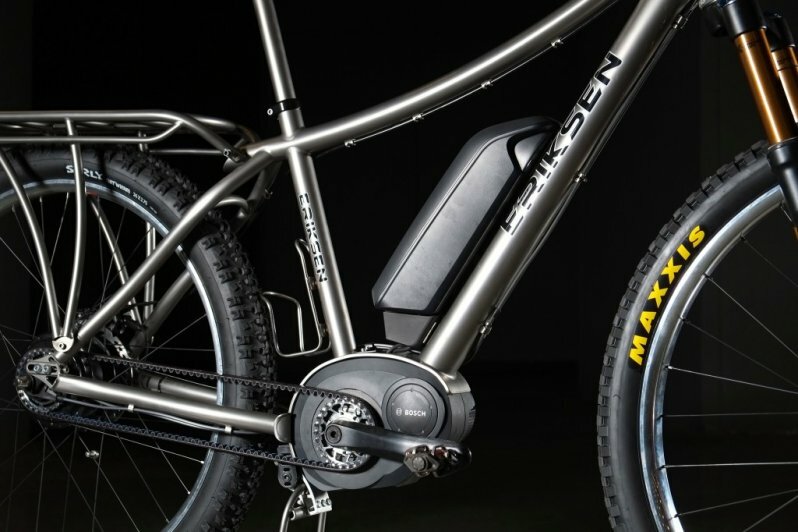 All of these custom e-bikes feature the BionX electric bike system with the Gates Carbon belt drive. 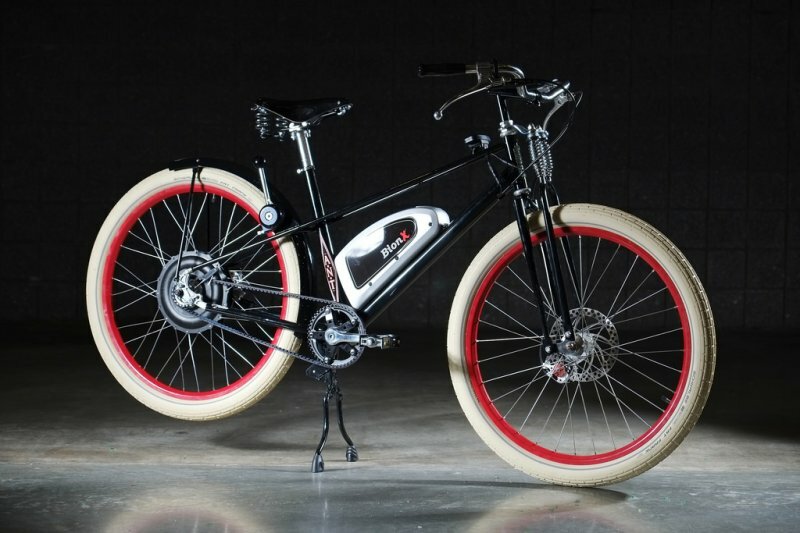 Recently Gates Carbon Drive (belts) challenged 12 custom bike builders to build electric bikes using their belt drive along with 3 different e-bike systems; Bosch (with NuVinci N360 hub), SRAM, and BionX. The result was an amazing array of e-bikes that included, titanium bikes, wood bikes, tandems, cargo bikes, a BBQ bike, and more! These super custom e-bikes were part of the Gates E-Bike Showcase on display at the North American Handmade Bicycle Show in Charlotte, NC.